No other home improvement store offers nearly as many flooring options as ProSource® of Davenport. Because we purchase floorings like carpeting, hardwood, laminates, and vinyl in bulk, we can offer incredible wholesale prices to our trade pro customers. Even a quick visit to our showroom will leave you in awe of our array of amazing carpet brands, patterns, and styles. 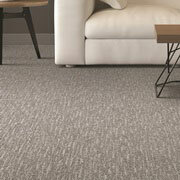 Carpet flooring is a great way to add a cozy, and welcoming atmosphere to any room in your client’s home. Meet with our carpet specialists today! If you and your clients want the durability and elegance that only hardwood flooring can provide, then it’s time to visit ProSource. Working with our flooring experts, trade pros can sort through our incredible selection of wood types and finishes to find a perfect fit for any home improvement project. For discerning clients who want the look and feel of hardwood, but don’t want to commit to the upkeep, then a striking laminate floor is the perfect solution. 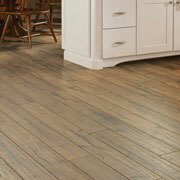 Laminate flooring is available in a myriad of patterns, colors, and finishes, including high- and semi-gloss. Tile has graced the floors and walls of homes for centuries. Make your client’s home a part of this long and proud tradition with new tile floors in the bathroom, kitchen, or entryway. ProSource offers tiles made from glass, porcelain, and ceramic. 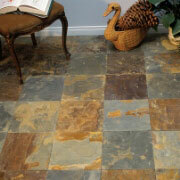 Tile flooring is easy to put in, and even easier to maintain and keep clean. 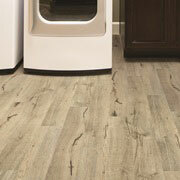 Luxury Vinyl Tile (LVT) is designed with style in mind. Its varied appearance allows it to be used to create beautiful patterns. 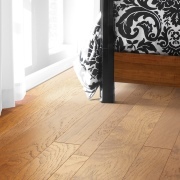 Luxury Vinyl Planks (LVP) are durable and affordable alternatives for those who want the appearance of hardwood floors without the cost and maintenance. We are proud to serve throughout the Davenport, Iowa, area. The ProSource of Davenport showroom is conveniently located in Davenport, Iowa and serves all of the neighboring cities including Albany, Andalusia, Bennett, Bettendorf, Blue Grass, Buffalo, Calamus, Camanche, Carbon Cliff, Coal Valley, Colona, Cordova, Davenport, De Witt, Dixon, Donahue, Durant, East Moline, Eldridge, Erie, Geneseo, Grand Mound, Hampton, Hillsdale, Illinois City, Le Claire, Long Grove, Lynn Center, Matherville, Milan, Moline, Muscatine, New Liberty, Orion, Osco, Port Byron, Princeton, Reynolds, Rock Island, Sherrard, Silvis, Stockton, Taylor Ridge, Walcott, Wheatland and Wilton.